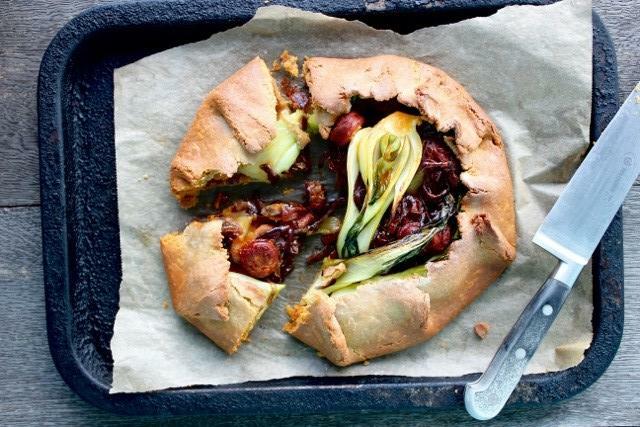 FESTIVAL MASTERCLASS: Make a buttery shortcrust pastry with Hodmedod’s yellow pea flour and create your own summer galette with seasonal veg and Westcountry cheese. Join our nutrition expert Naomi Devlin, for a pastry masterclass using seasonal vegetables and flavoursome flours! A galette is a rustic free-form tart that comes together in moments and will soon become a staple in your kitchen. You can adapt this recipe for different flours but pea flour is ideal for anyone who can’t eat gluten. Anyone can make crisp, buttery pastry once they know how, so while your galette bakes, you’ll make a piece to take home and play with. This class is suitable for gluten and dairy free but please note that flour and other allergens are in close proximity. Dairy free options are available. This masterclass will take place in our cookery school from 10.30-11.30am. Suitable for people with a gluten free diet. Please tell us of any allergies when booking.